The Law Offices of Barry Feinstein & Affiliates, P.C. is a group of highly professional attorneys, paralegals, support staff and investigators. They have over 25 years of experience working with injured clients and have extensive background in all areas of personal injury. 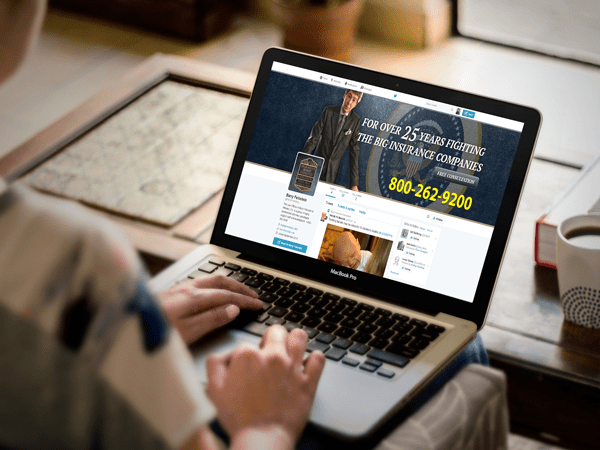 Barry approached us to give his website content an updated appearance and to improve his online presence with social media. Barry needed assistance with updating items on his custom built WordPress theme. With much of the older content no longer being relevant on the site we were asked to assist Barry with incorporating newer elements and a social media feed. We were asked to modify text, add a Facebook feed, create a call to action on the homepage, and to dress up their Practice areas page. Implementation of such features required PHP insertion, HTML, and CSS. 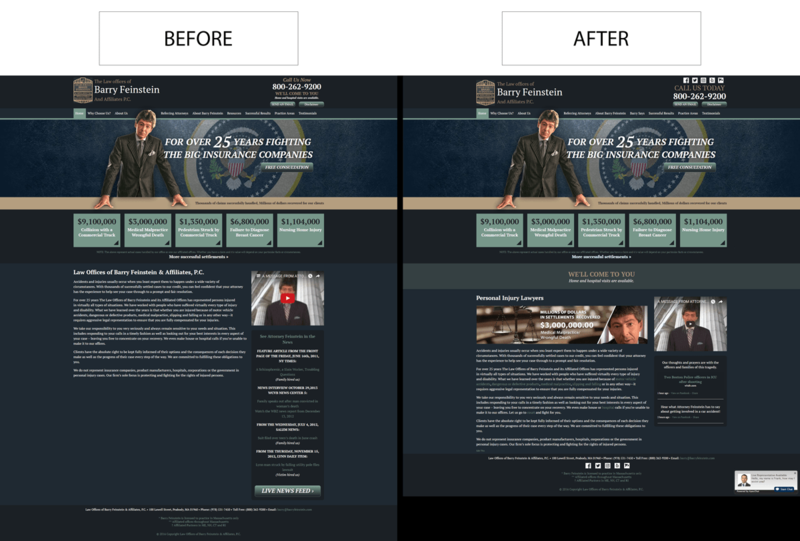 All items were performed quickly and integrated smoothly into Barry’s custom WordPress theme. With a lot of search engine optimized content on his website, Barry Feinstein had a great platform to begin his social media campaign. He requested that we assist him with creating and optimizing his social media accounts on Yelp, Facebook, Instagram, Twitter, and Youtube. Social links were added to the website to help drive traffic to their social platforms. By having a customer follow a social platform, they will remain regularly connected with the businesses and its ongoing. The business’ fans will keep the company in mind as news from the businesses becomes a natural part of their social news stream.